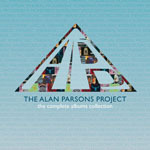 Share the post "Album review: THE ALAN PARSONS PROJECT – The Complete Albums Collection"
Alan Parsons almost redefined the idea of the concept album in 1976. Parsons was famously the assistant engineer at Abbey Road and got his hands on the latter Beatles albums. Together with his musical partner, lyricist Eric Woolfson, he crafted some sonically immaculate and always beautifully executed offerings of his own. Those who usually associate the pair with heavy-going, thought provoking, progressively-inclined fare may be surprised that much of the content is actually melodic rock/AOR and very accessible. The debut album Tales Of Mystery And Imagination , one of 11 in this collection, brought together spoken word and lavish soundscapes and was to set the tone for future excursions. It pre-dated Jeff Wayne and his ‘War Of The Worlds’ in the blending of narration, verse and music. This boxed set is a wonderful introduction to an influential artist. Overall, the albums stand up well and the production especially is timeless as you might expect. 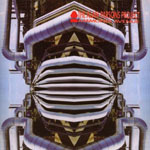 All albums are faithfully wrapped in facsimilie card sleeves (gatefold as appropriate) – significant also because the artwork (most by Hipgnosis) is always intriguing – and a booklet lists all the credits although there is no essay (but arguably this gives us some respite from Malcolm Dome). The lyrics are also absent from the booklet so in that sense you are not really getting the full hit. These were concept pieces and tell a story. 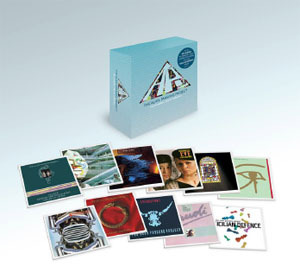 Collectors should note that these albums have previously been reissued with bonus tracks (in 2007/8) and all are straight reissues of the originals, with the exception of the debut. David Randall presents ‘Assume The Position’ on Get Ready to ROCK! Radio every Sunday at 22:00 GMT. 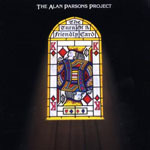 This entry was posted in ALBUM REVIEWS, ALBUM REVIEWS (Mobile), All Posts, Reissues and tagged Alan Parsons, Ammonia Avenue, box, boxed set, Chris Rainbow, Colin Blunstone, Eric Woolfson, Eve, Eye In The Sky, Gaudi, I Robot, Pyramid, Stereotomy, Tales Of Mystery And Imagination, The Alan Parsons Project, The Complete Albums Collection, The Sicilian Defence, The Turn Of A Friendly Card, Vulture Culture. Bookmark the permalink.